I have my last Refashion class this week and my final project was this felted sweater vest. 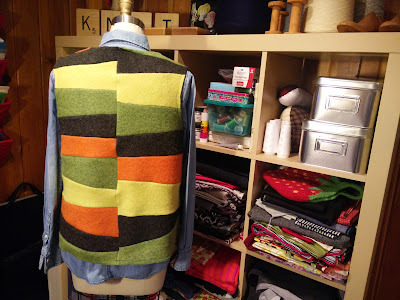 I had been saving these wool sweaters that I no longer wore for years and decided they'd be perfect for a vest project. I washed them twice to get them felted enough. 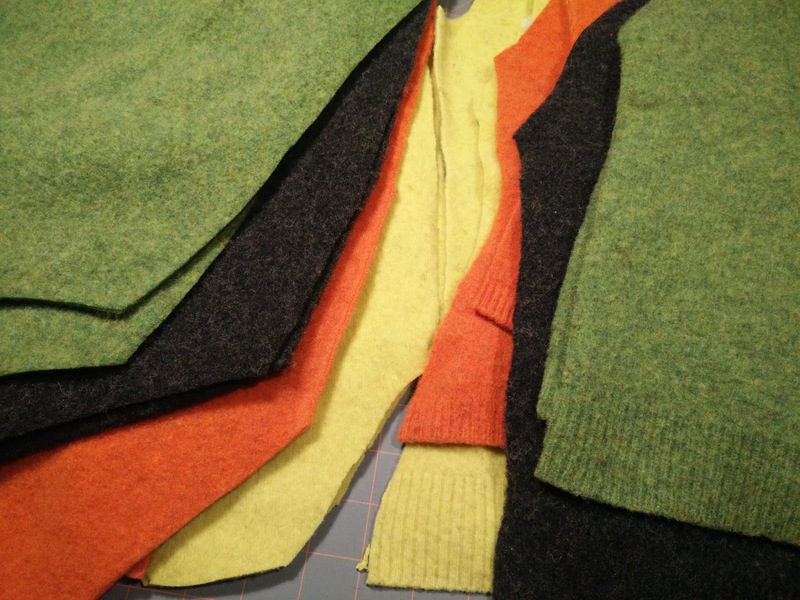 The neon chartreuse felted the least amount since it was a blend of wool and cashmere while the others were all 100% lambswool. 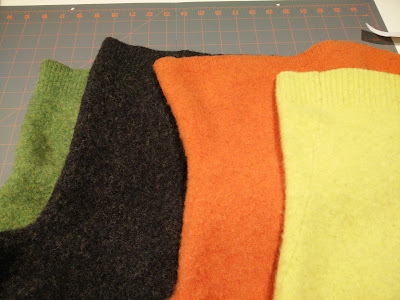 Once the sweaters were felted, I prepped them by cutting all the seams off and then separating the fronts, backs and sleeves. 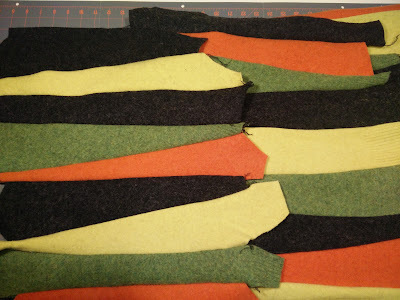 I proceeded to cut a bunch of random-sized strips that I sewed together to create four pieces of fabric. 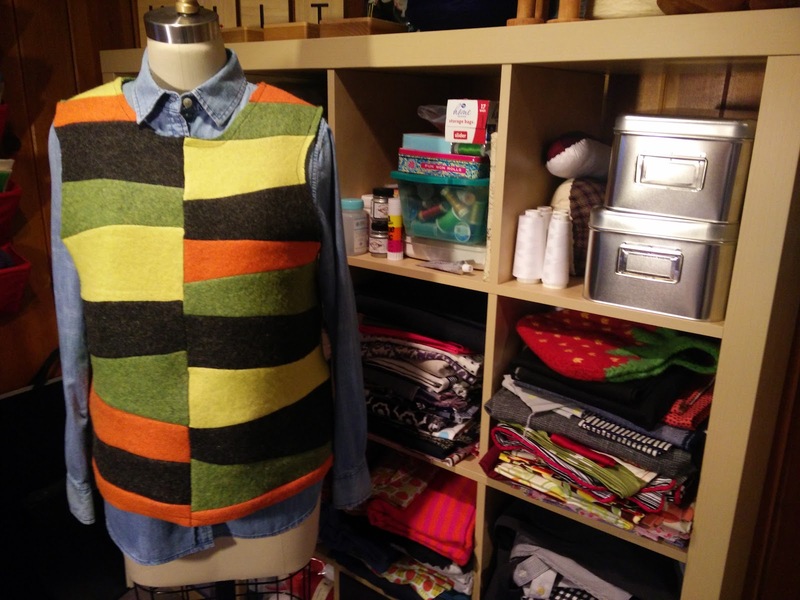 I created the pattern from this vest that I had and cut out two fronts and backs and then sewed them all together. I tried to do a rolled hem on the neckline and armholes, but it didn't quite work out, so I trimmed the hems off and just did a staystitch on those areas, as well as the hem. After ironing all the seams, I think it looks pretty good!